Before purchasing or installing TCMax, ensure that your organization has an appropriate computing infrastructure to facilitate the use of TCMax. Listed below are the computing and technical requirements for running TCMax, as well as the individual feature requirements for each software. If at any time you have questions regarding the technical requirements of TCMax, or TCMax's associated features, please contact us either through our website, or by phone at (419) 826-0444. For signature pad use, Microsoft Excel 2003 or above is required. Report Printing: Page printer. Reports can also be saved as a PDF with software. 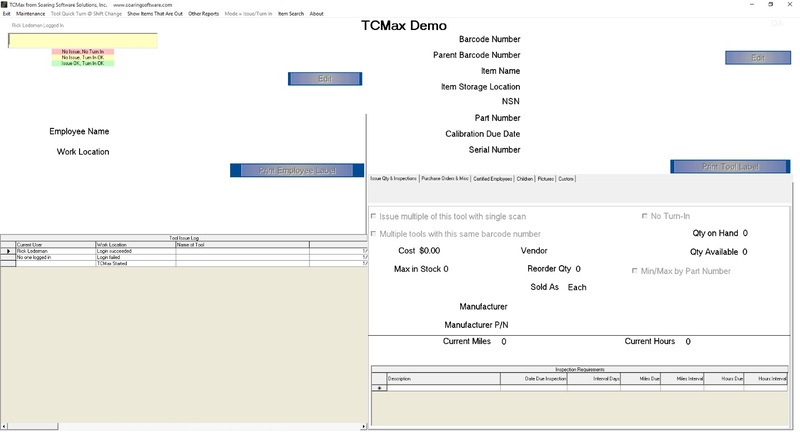 Integrated Report Designer: Create and modify reports from within TCMax. Integrated Emailing: Email server settings. Report email settings can be controlled within TCMax and sent while TCMax is running. Label Printing: Label printer or a pass-through page printer with the correct settings. Digital Signature Capture: Signature Pad. Signature printed directly on report. Fingerprint Reading: Fingerprint hardware and 64-bit Operating System. Digital Signature Capture: Signature Pad with 32-bit MS Excel. Signed report and signature saved to a file. © 2019 Soaring Software Solutions, Inc. All rights reserved. 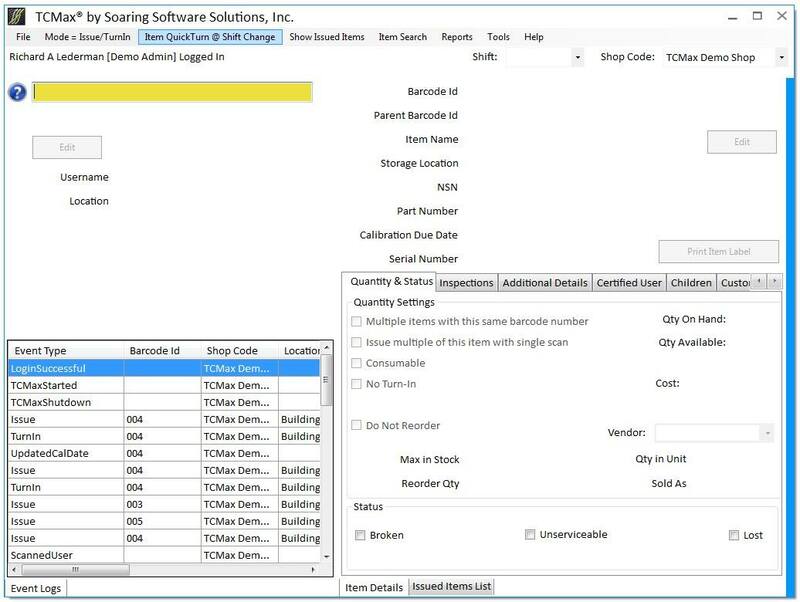 TCMax is a Registered Trademark of Soaring Software Solutions, Inc. Software that talks is a trademark of Soaring Software Solutions, Inc.